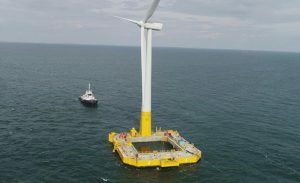 The Floatgen floating offshore wind turbine is now ready to supply clean energy to the French electrical grid, after Mojo Maritime replaced a defective connection box at the SEM-REV test site, which was preventing an electrical connection to marine energy converters. 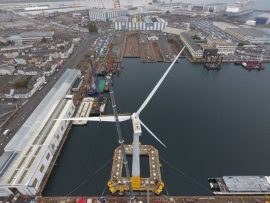 The 2MW Floatgen floating wind turbine project has reached another milestone with the installation of the transition piece onto the recently completed concrete floating wind foundation in the Port of Saint-Nazaire, France. 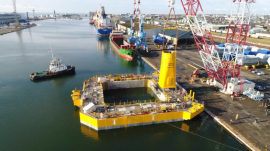 The square ring-shaped floating foundation, the heart of the Floatgen floating wind project, was launched yesterday at the Port of Saint-Nazaire, France. 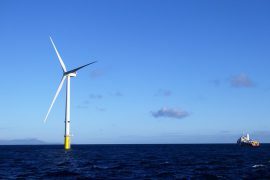 France-based offshore services provider Bourbon has completed the installation of the mooring system for the Floatgen wind turbine – first of its kind in France – at the SEM-REV site off Brittany. 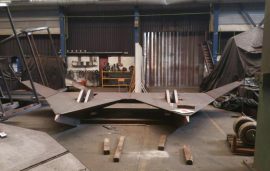 The turbine will be installed by the end of the year. 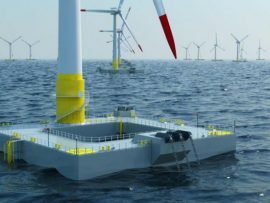 Euskalforging, the manufacturer of seamless rolled rings, has signed a contract to supply all the flanges for the foundation and the tower for the Floatgen project, a floating wind demonstration project in France. 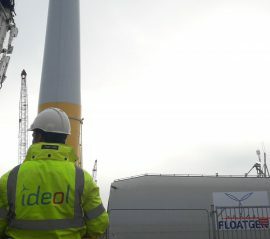 The 2MW Floatgen floating wind turbine has started taking shape in the Port of Saint-Nazaire with over 50% of the construction works now completed, Ideol, the lead developer of the project, said. 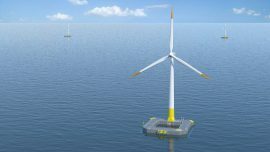 Six floating wind companies have called on the French Government to include up to 5GW of floating wind capacity in the country’s revised multiannual energy program, to be brought online by 2030. 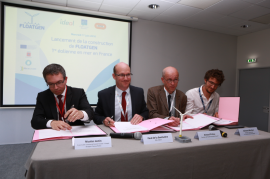 French floating offshore wind specialist Ideol has received a EUR 2.5 million grant from the European Commission under the Horizon 2020 – SME Instrument programme. 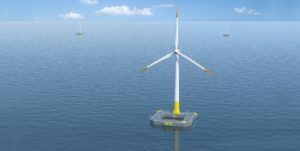 Floating offshore wind turbine Floatgen, the first offshore wind turbine installed off the French coast, has started delivering electricity to the grid. 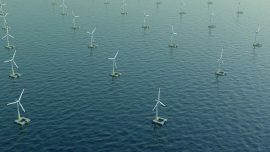 France-based Ideol and Japan’s Acacia Renewables, Macquarie Capital’s wholly owned subsidiary, have signed a Memorandum of Understanding (MoU) for the development of the first utility-scale commercial floating offshore wind farm in Japan. 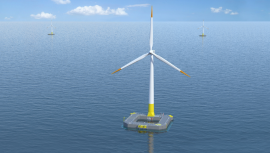 France’s Ideol has secured EUR 15 million funding from energy investor Kerogen Capital in order to accelerate the commercialization of its floating foundation solution in key geographies. 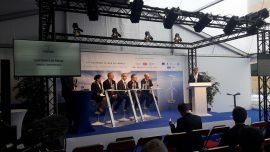 The results of the call for offshore wind tenders in the Dunkirk area in France will be released in March, said French Secretary of State Sébastien Lecornu. 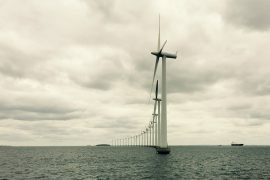 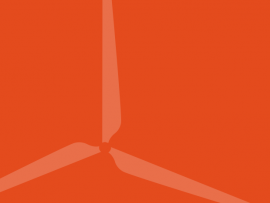 Ørsted, Siemens Gamesa and Sif Group currently hold the biggest slices of cakes in their respective fields, when looking at the total installed offshore wind capacity in Europe. 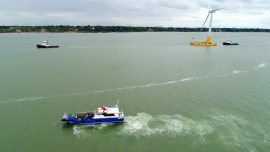 The 2MW Floatgen wind turbine, the first offshore and floating wind turbine to be installed off the French coast, has produced its first electricity in the port of Saint-Nazaire while undergoing tests. 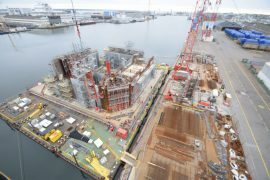 Building a floating foundation in concrete has shown to be a cheaper solution, not only construction-wise but with O&M taken into account as well, since the material is much more durable at sea – as learned from the offshore oil & gas industry – according to Bruno Geschier, Chief Sales & Marketing Officer at Ideol.